We knew Jane Jacobs’ biography and her work, and we thought that she was a very interesting professional to learn from so we wanted to share her concepts and teachings with more women in Donostia-San Sebastian. In our group, Foro de las Mujeres y la Ciudad (Women and City Forum), we work in different lines to recognize women’s contribution to the cities and villages. 2. Why were you interested in hosting a walk in Donostia, Spain, and what was the goal? In Donostia there have been a few groups and associations that have hosted Jane Jacobs’s walks for the last two years. Our Forum hosted one last year in order to know the women’s contribution in Donostia. We wanted to carry on hosting the walks to pay special attention to subjects related to women that normally are hidden and veiled, but fundamental for people’s life in cities. We try to promote urban planning through the community participation. This is why we try to share Jane Jacobs’ life with more people—especially women. 3. What is the contrast between women and women’s jobs in the 50’s compared to now in Spain? We learned about jobs women did in Donostia at that time and we felt very privileged to have the women that lived in those years tell their personal story and share their testimonies. There are a few differences. For instance, many jobs have disappeared because clothing manufacturers took over in our societies and we do mostly purchase clothes instead of making them by hand. Therefore dressmakers have no chance to work the way they did then. Fishing is also a way of earning an income that has almost disappeared, so the net menders have not been able to work. This shows a fundamental change. Another issue that we learned is that working conditions have changed for better, for people used to work very long hours for very low wages. On the other hand, benefits of working in the 50’s were that there were more jobs, and more chances of entering the workplace as an apprentice to learn the profession through experience. 4. Do you have any stories from the walk, specifically with the women mentioned? It was a great encounter to meet women of the different ages and share stories that showed how life was then. All of them could tell us many stories of how life was tough, but they showed solidarity throughout that time. 5. What is Women and City Forum and what is your role there? It is a group of women that have been working since 1996 to research, to reflect, and to share knowledge about the future cities, taking into account the women’s perspective and the human beings’ basic needs. 6. What are your hopes for the future of Donostia with regards to Jane Jacobs Walks? We hope to organize one every year and have more and more people coming to the walks. 7. What are your goals when you host a Jane Jacobs Walk for the participants? We have three goals for our participants: to know Jane Jacobs trajectory, to promote activities to build and maintain the sense of community, and to recognize the women’s contribution in cities. It would be good to know more groups that do Jane Jacobs walk around the world and share experiences. We want to give a huge thanks to Begoñia for doing this interview, as well as her contribution to Jane Jacobs Walks in Spain, Women and City Forum, and her community. I am a civil engineer, with M.Sc of structural engineering and I am working in "SUNGUN" copper mine as a civil engineer. I am interested in cultural discussions about my city and I am publishing a monthly magazine (attached to a newspaper) about construction industry. I was introduced to Jane Jacobs by one of my friends who is an architect. She knew that I am interested in walking in my city and in cultural topics. 2. Why were you interested in hosting a walk in Tabriz? There are some places all over the world that are known to all people and there is no need for more explanations, but in Iran and in my area (East azarbaijan province) the people should know and see more. I had a trip to Malaysia with my wife two and a half years ago and I went to the "BATU" cave, which is a very famous place in Malaysia. In Iran, the East Azarbaijan province is full of beautiful mountains and natural phenomena’s that no one knows around the world. I want to show those places to the world. 3. Could you describe the walk in detail, as well as some of the photos and what they represent? Because of the international media, people think some strange things about Iran that just aren’t true. There are some difficulties. Women must be covered, and some habits are not accepted, but the life is going on in its normal way. The photos show that a normal stream of life is carrying on. But my goal for the walk was to show how the history of a region is being erased, and the photos are the best way to show that. 4. 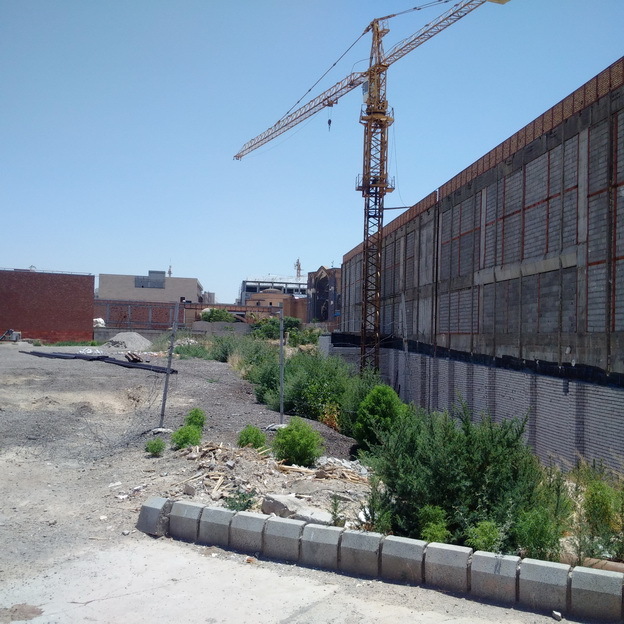 What are your hopes for the future of Tabriz with regards to Jane Jacobs Walks? When foreign tourists come to Iran they just travel to places like Isfahan and Shiraz. I wanted to say that there are more beautiful places to see, to walk, to enjoy. 5. What are your goals when you host a Jane Jacobs Walk for the participants? I want the walker to not only enjoy the walk, but also the architecture, the history, the delicious food, the climate, and the whole city. I like walking around historical regions and I accept Jane's idea about relation between walking and soul of cities. Because of my job and my economical condition I cannot travel to many different countries, but I can invite people to share the joy of walking in Tabriz. 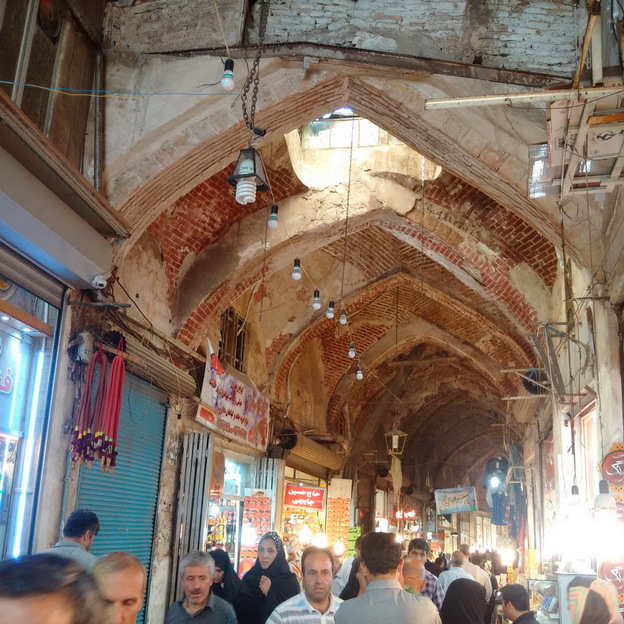 We want to give a huge thanks to Afshin for doing this interview, as well as his contribution to Jane Jacobs Walks in Iran.